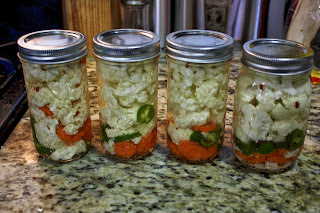 Pickled vegetables have always been a favorite of mine, I love those hot mixes you can buy at the grocery store that contain things like cauliflower, carrots, onion, and peppers. Having so many of these ingredients available to me through either my garden or my parents massive garden, I really enjoy pickling these veggies for delicious healthy snacks all winter long. On a side note, these mixes are nearly calorie free and with such little salt added to my pickling liquid they are much better for you and much cheaper than the mixes you buy at the grocery store. 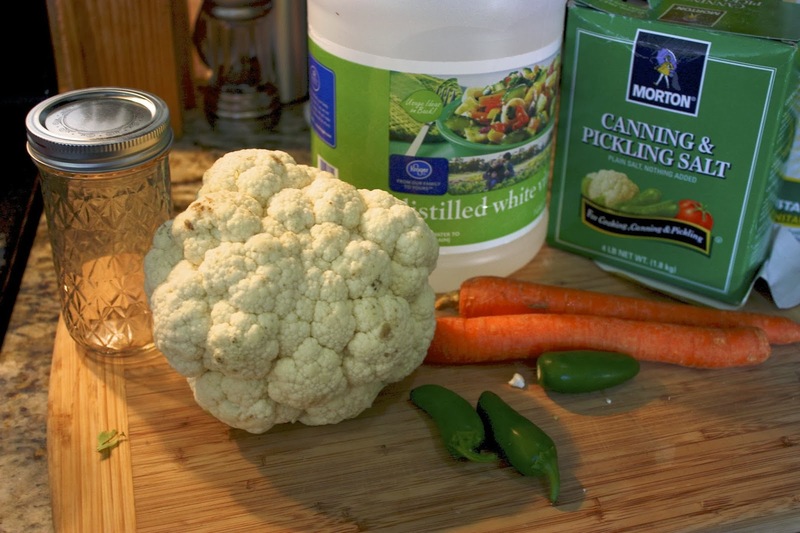 My pickling liquid is the same whether I am pickling peppers or veggies, so you can really make versatile mixes to suit your own tastes. You could also pickle beets, zucchini, green beans, anything you desire! For this mix I am making cauliflower, carrot and jalapenos. 2 cups of white distilled vinegar. Chop and slice all of your vegetables, making sure they fit in the mouth of the jars you are using. I chose fairly small pieces, but was careful not to completely decimate my cauliflower so there are decent sized chunks. Place the vegetable mixes in the clear sterile jars and pack at tightly as possible. Then bring your pickling liquid ingredients to a boil until all the salt and sugar has dissolved. 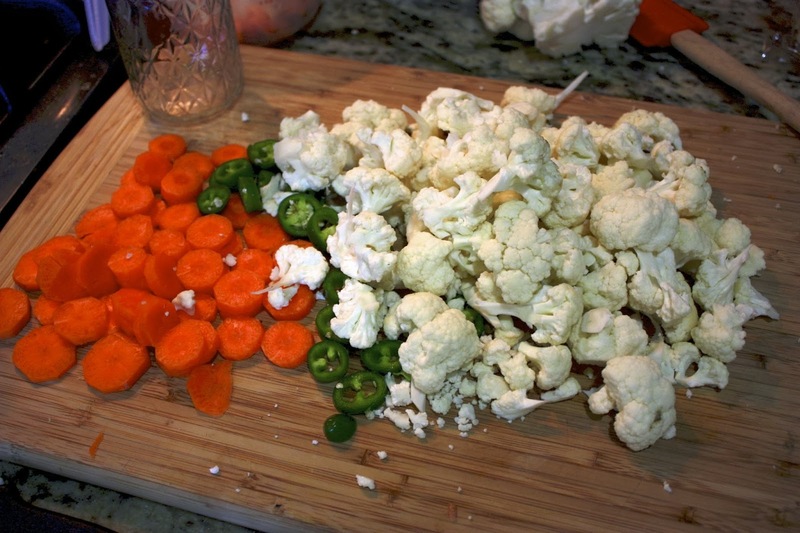 Pour pickling liquid over the veggies, and remove any air bubbles. Place in fridge for 2 weeks or process in water for 15 minutes for long term storage. Eat cold for ultimate crisp deliciousness.